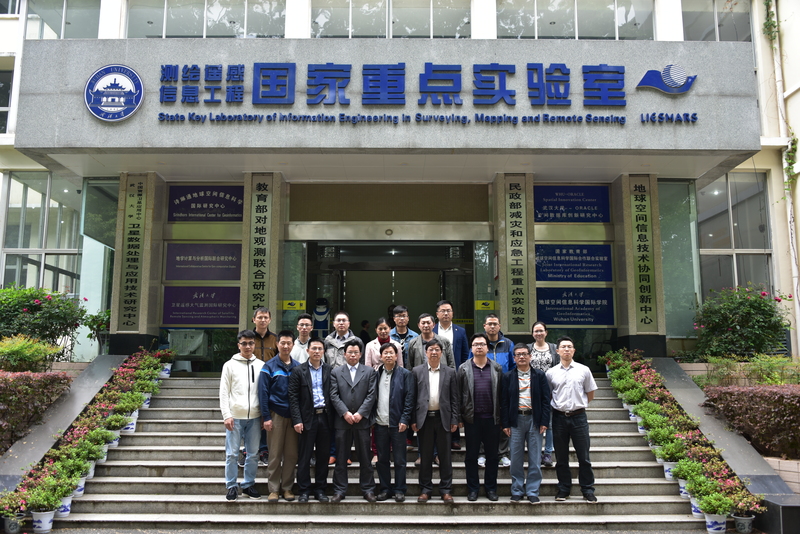 The State Key Laboratory of Information Engineering in Surveying, Mapping and Remote Sensing, Wuhan University (LIESMARS), was founded in 1989, and the first state key laboratory in the field of surveying and mapping in China. In evaluations conducted by the Ministry of Science and Technology, LIESMARS was consecutively ranked “Excellent” in 2000, 2005, 2010, and 2015, and was presented with the Golden Bull Award in 2004. Since its foundation, LIESMARS has achieved remarkable achievements, strongly supporting the remote sensing discipline at Wuhan University. Wuhan University ranks in the top 1% in the global Essential Science Indicators (ESI) for the earth sciences, sociology, computer science, and other disciplines. LIESMARS is ranked first in the world in the surveying and mapping discipline and ranked first in China, and in geography it is at the forefront. The major research fields at LIESMARS include Aerial and Space Photography, Remote Sensing Imagery Processing, Geospatial Information Systems and Services, 3S Integration and Geospatial Information Services, and Navigation and Location-base Services. These five research fields are based on Earth Observation System theories and methods to solve the problems in the high precision orbit and attitude determination of multi-platform and multi-sensor earth observation systems, high precision automatic processing of photogrammetry and remote sensing data, automatic extraction and intelligent interpretation of remote sensing information, and the integration and intelligent service of geographic information and navigation location information. There are 121 permanent personnel in LIESMARS, including three academicians of the Chinese Academy of Sciences and Engineering. Among them, five scholars were elected in the national recruitment program of global experts, two scholars were elected in the national recruitment program of global experts (youth project), and one foreign scholar was introduced in the national recruitment program of foreign experts. The innovative research team in earth observation and navigation technologies at Wuhan University, led by three academicians, Prof. Li Deren, Prof. Liu Jingnan and Prof. Gong Jianya, won the National Science and Technology Progress Award in 2014. LIESMARS recruits about 50 doctoral students and 210 master students every year. More recently, the number of international students has increased year by year, with 44 students enrolled in 2017. LIESMARS has established and perfected a talent training system and a special tutor team guidance system: more than 20 specialized courses taught in English are offered every year; academic exchanges and cultural activities are organized. Graduate students from LIESMARS have become the elite and backbone in related fields, and have been widely praised and welcomed. for five times; Prof. Zhang Liangpei won the prize “National Best Doctoral Supervisor” for two times. LIESMARS sends more than 100 people every year to participate in international academic exchanges, invites more than 30 scholars well known globally for visits and to deliver lectures at LIESMARS. LIESMARS holds at least one large-scale international academic conference every year. In recent years, nearly 30 researchers from LIESMARS have served in international academic organizations, and more than 20 researchers act as chief editors and associate editors for well-known international journals. LIESMARS has established joint research centers with seven renowned universities and research institutions, worldwide. The Joint International Research Laboratory of GeoInformatics was approved by the Ministry of education in 2015. A large number of scientific research facilities have been built in LIESMARS to strongly support the personnel training and scientific research work, with the total expenditure of more than 200 million RMB.